A 20 year old Vietnamese woman has made news over the weekend for reasons one may term as unfathomable. 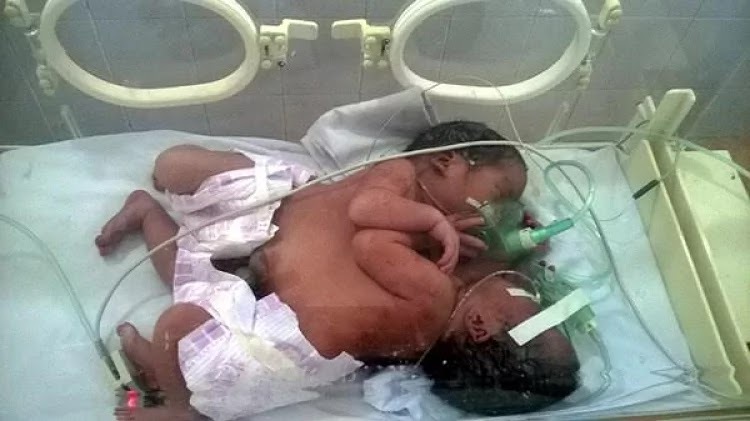 Not only did Phan Thi Chay – who is from a poor ethnic Dao family – not know that she was pregnant, but also found out that she was having a set of twins when she was admitted to the Vi Xuyen General Hospital in Vietnam. Unfortunately, the twins were found to be conjoined at the torso when the young woman had them. They have since been admitted, hopefully to be operated on later. Doctors had to perform a C-section on her after diagnosing her with fetal stress—saved the conjoined baby boys, who together weigh 4.9 kg. Nguyen Ngoc Chung, the hospital’s deputy director, said the twins have recovered and have separate hearts and lungs. The hospital has donated money it collected from staff and from its fund for poor the patient.